Chi Alpha International Weekend Away with God and friends. Join us at 7:00 pm in MSC 315 for the start of our Weekend Away. The retreat lasts until noon on Saturday. 10 - Excursions to KC! We'll get lunch on the way back. As you can see, you can get back in plenty of time to do homework that weekend! 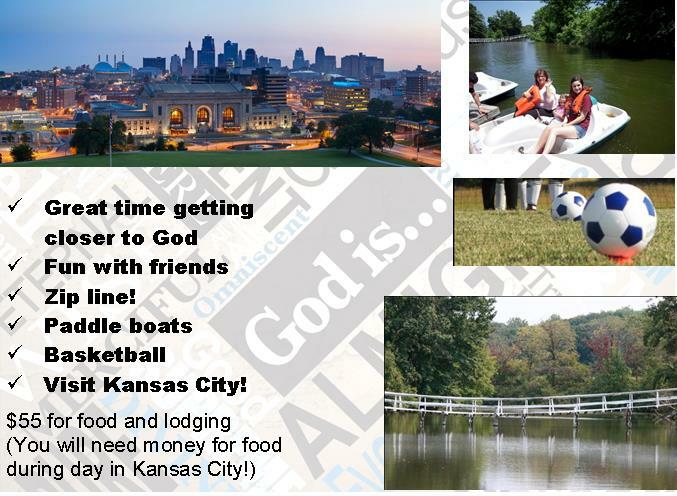 And you can have a great time with us in Kansas City! I'm looking forward to spending the weekend with you all! -toiletries: tooth brush, deodorant, soap, shampoo, towel, etc. 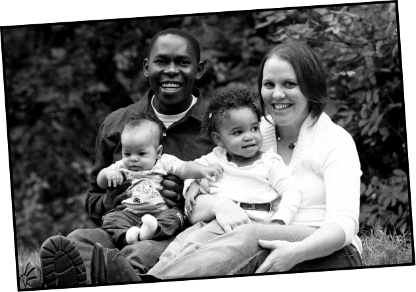 Severin is originally from Nairobi, Kenya and Kristina is from Branson, Missouri. We met at MSU when we were both students involved in Chi Alpha and got married in 2003. Shortly after that, we joined the Chi Alpha staff team at Missouri State. Our daughter, Imani (means “faith” in Swahili), was born on November 3, 2007 and is truly a delight! Our son, Joshua, was born on May 27, 2009 and adds so much joy to our family!